While driving to the con,I received a text from my friend Jarrod at 10:30 am. Jarrod said to be prepared for a huge crowd. 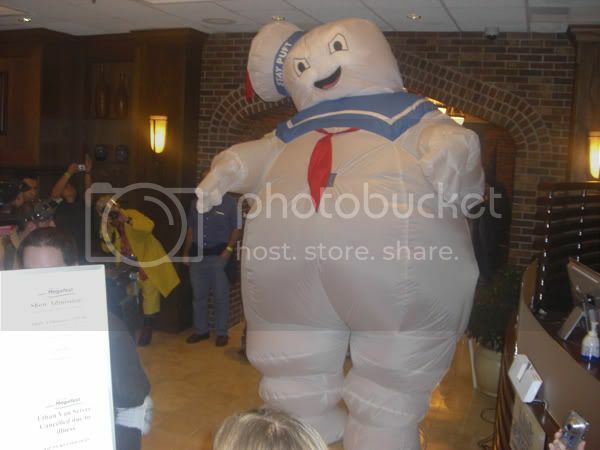 With guests like Sean Astin, Patrick Stewart, Anthony Michael Hall, Sam Trammell and a slew of others, I expected as much. 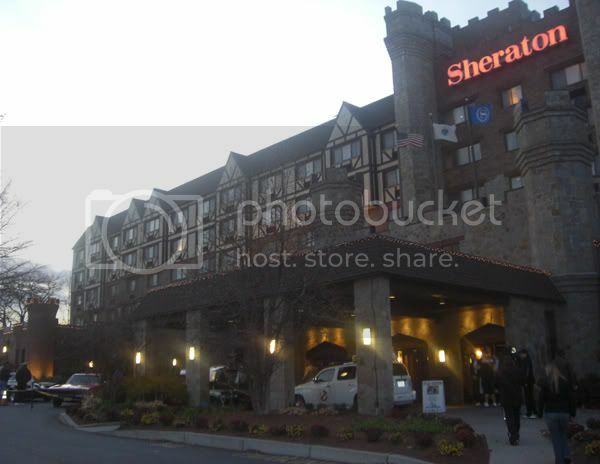 When we arrived at the Sheraton, this was literally a handful of parking spots. 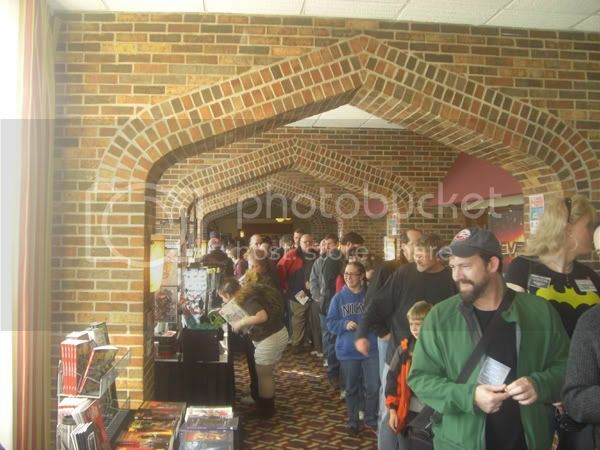 As we walked to the hotel lobby, the crowd easily doubled the attendance from last years con. The staff did a great job getting everyone through in a timely manner considering the circumstances. 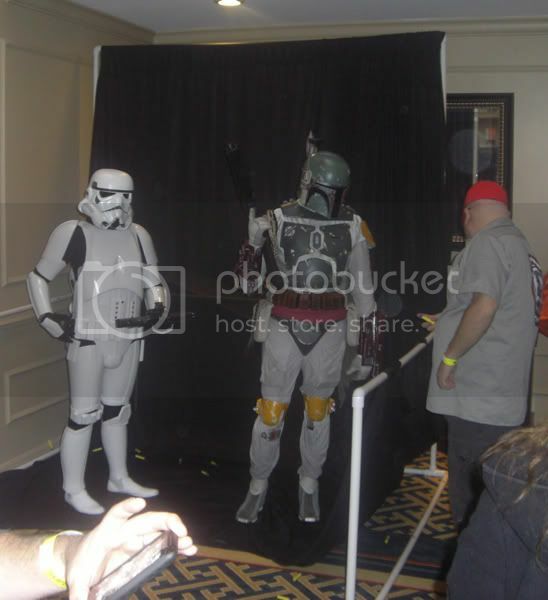 Our first stop was to check out the The 501st New England Garrison Shoot a Trooper booth down the stairs. Kids loved shooting their NERF blasters at Stormtroopers and Boba Fett! All of the money collected was donated to the Make-A-Wish foundation! Next we went to get an autograph from Sam Trammell (Sam Merlotte of True Blood fame). Sam was really cool and very genuine. 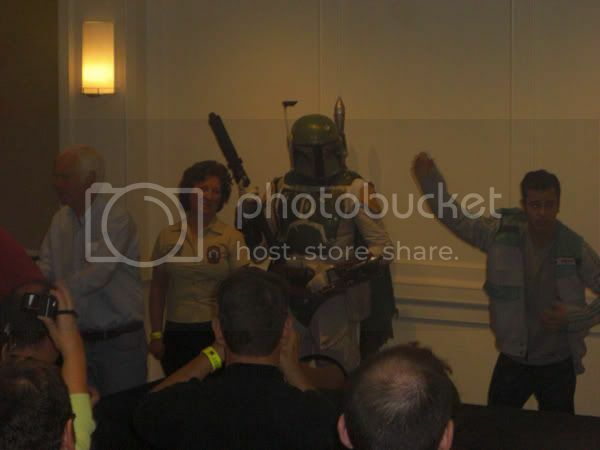 After picking up a few posters and photos in the dealers room, we went to the Boba Fett panel. 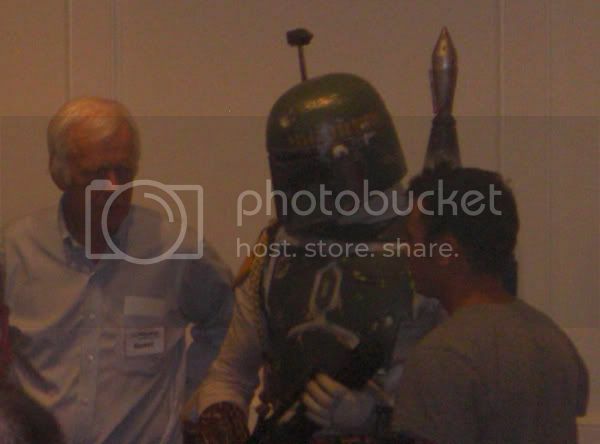 Jeremy Bulloch went solo for about 15 minutes before Daniel Logan arrived. Jeremy discussed how difficult it was working in costume at times. Daniel explained how he didn't really know much about Star Wars before landing the role of young Boba Fett. 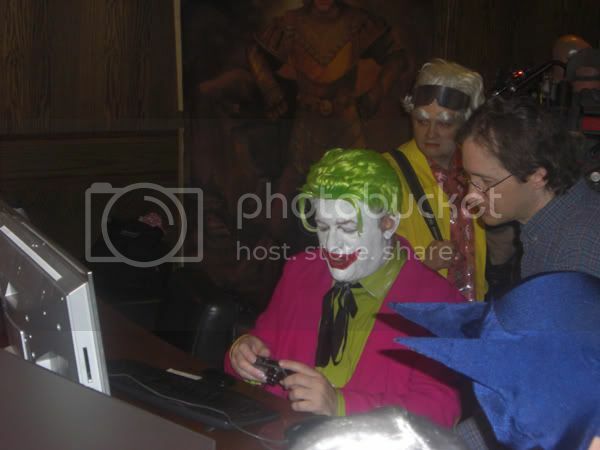 People told him it would change his life, but he didn't believe it. Daniel said how lucky he was landing that role (5000 kids auditioned) and it changed his life in a great way. The chemistry between Jeremy and Daniel was great. 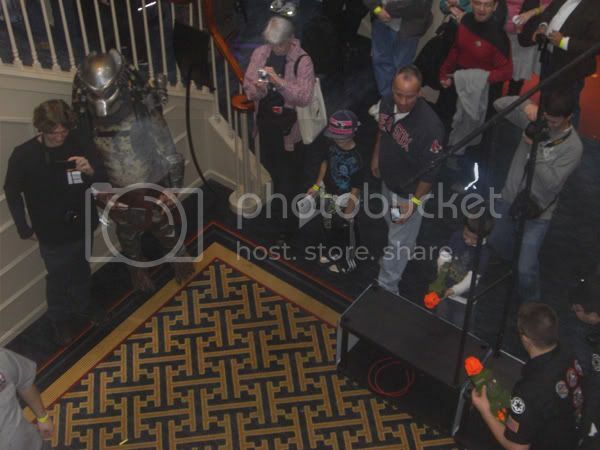 They had children come up and do their best Boba Fett impersonations. 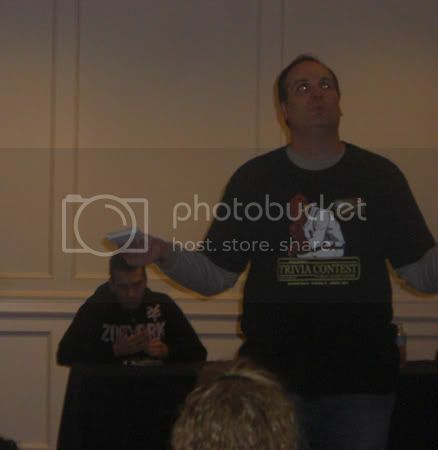 The panel was a lot of fun and was very informative. 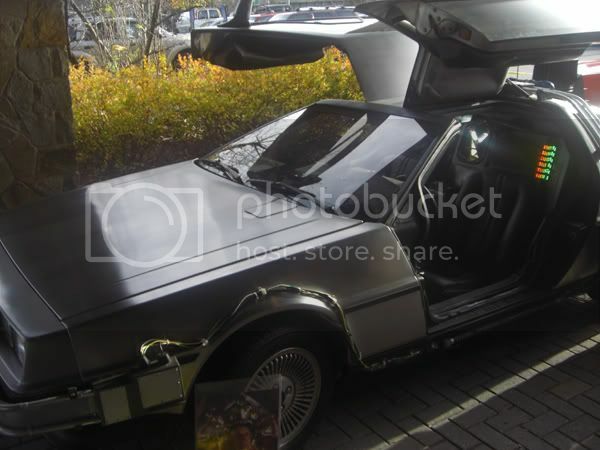 We then went outside to check out the 1966 Batmobile, General Lee, Back To The Future Delorean and ECTO-1. 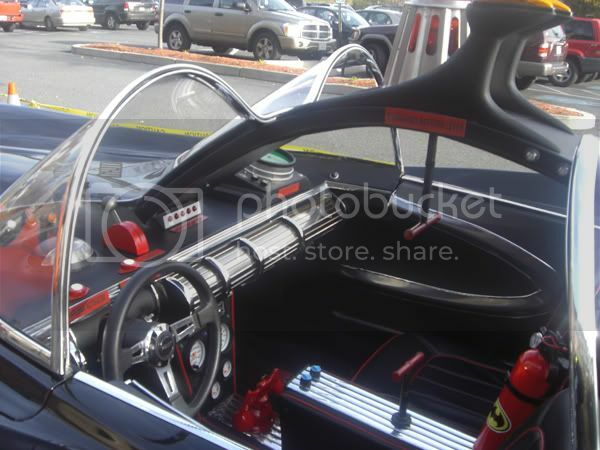 After attending conventions since 1987, would you believe I never took a pic inside the Batmobile? 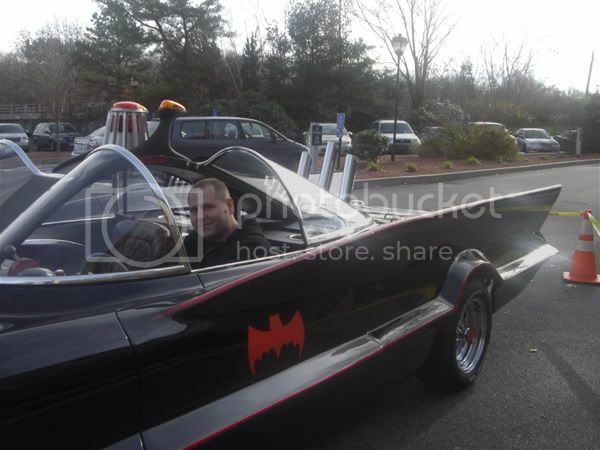 I finally did and the Batmobile on display was very impressive. The interior was signed by Lee Meriwether which was a nice touch. 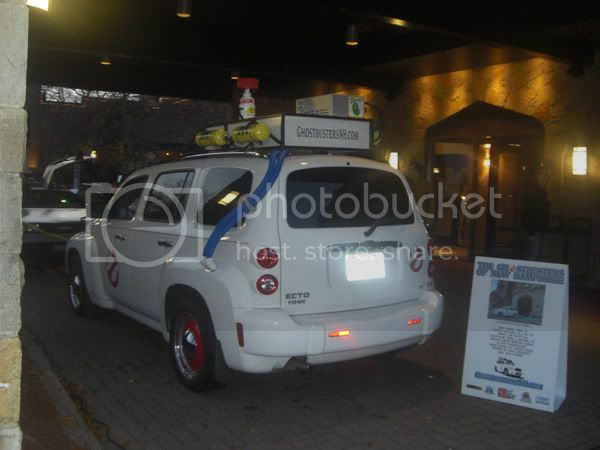 The Delorean was very detailed and the Chevy HHR converted to a Ghostbusters ECTO-1 was beyond cool. 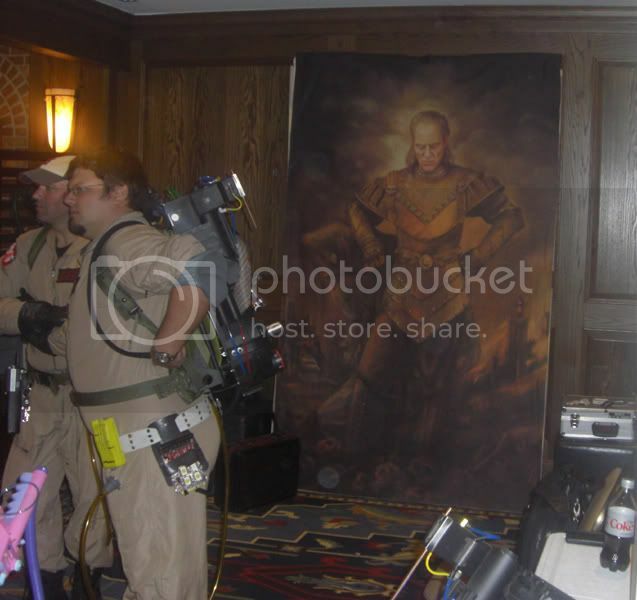 As we came back inside, we stopped at the Ghostbusters Of New Hampshire table.They had a replica Vigo painting and inflatable Stay Puft Marshmallow man on display. 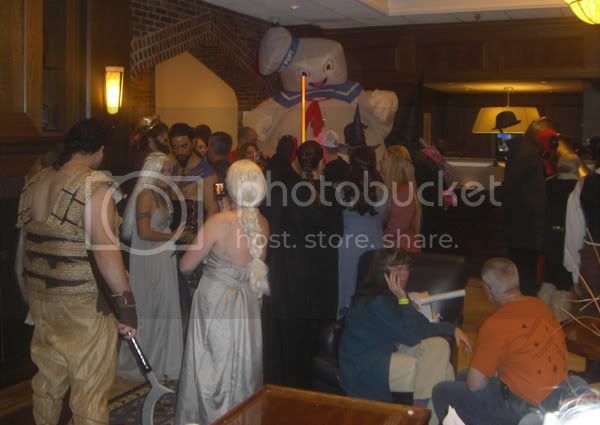 They were taking pics with fans and raising money for charity. They were definitely a hit with the crowd. The Star Wars Trivia Contest was next on the agenda hosted by Kevin Liell with assistance by Erik Yacko and Chris Wilkins. 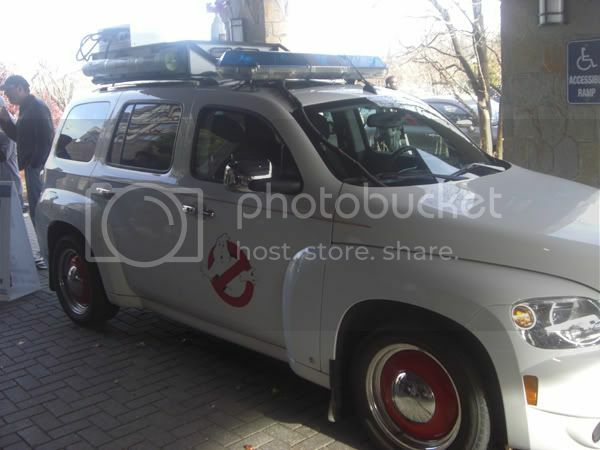 This was the first time we viewed one. There were definitely some tricky questions in there. Our friend Jarrod made it to second place. It was was very entertaining and worth entering or viewing if you haven't already. 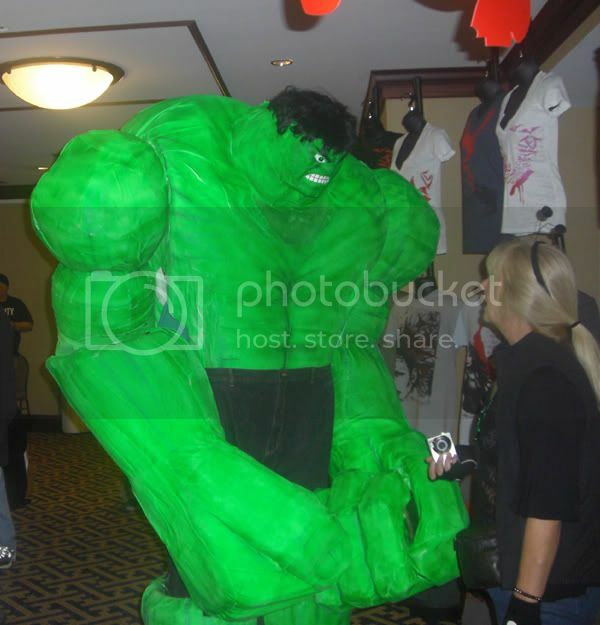 The annual costume contest winner had a Hulk costume that would put the CGI artists from the 2003 Hulk film to shame! Hulk smash competition! We had a great time and can't wait for next years show to see friends, buy cool stuff and meet stars from our favorite movies and TV shows. 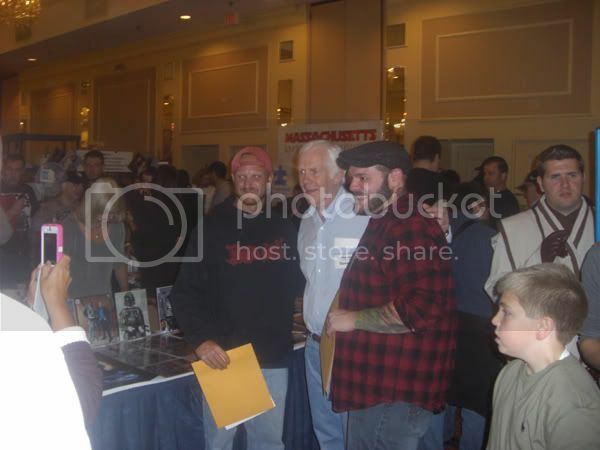 Thank you to John and Ken for putting on another great con!